If you've never heard of the Indiana band Murder By Death and are fan of the music promoted on this site, there is a good chance you are missing out on your new favorite band. Their sound could be described as the perfect mixture of Punk-Rock and Americana, with one of the most engaging vocalists around today. 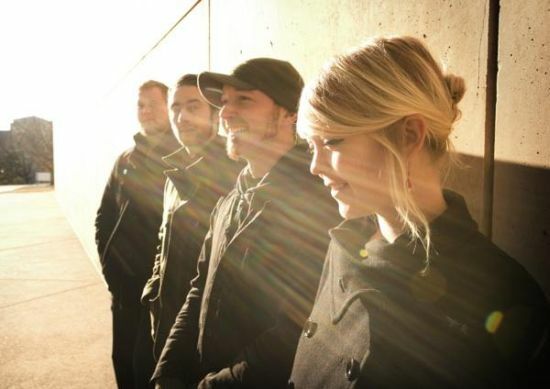 "If you're not yet familiar with MURDER BY DEATH, the best way to describe them is probably "Americana-noir." Their latest album, Red of Tooth and Claw is like a modern version of Homer's Odyssey where the characters aren't as noble. Frontman Adam Turla's voice has been likened to Nick Cave and Johnny Cash, and he's backed by a talented band (including a cellist!) that fully understand how to convey the grit and drama of the Old West through their music. Any fan will tell you they're absolutely captivating live, very in tune with their instruments and their craft. Since the early 2008 release of Red of Tooth and Claw, they've done several headlining tours (both in the US and overseas; the most recent US tour this past spring was mostly sold out), they're working on a split 7" covers series with a number of artists (so far, Amanda Palmer, William Elliott Whitmore and O'Death have shared wax with them for the project, with more to come), they've also begun writing a new record. And though it's not a Vagrant release, they've also worked with sci-fi/fantasy/horror writer Jeff VanderMeer to create an instrumental soundtrack to go along with his forthcoming novel Finch. Also, fun fact: their song "Comin' Home" is featured in a recent trailer for the new Quentin Tarantino film Inglorious Basterds. TONS of cool stuff going on in that camp, and I urge you to check them out if you haven't heard them yet: http://www.myspace.com/murderbydeath"
I had the chance to check them out a few years ago at the Bleeding Kansas festival and although I hadn't heard of them at the time, their performance led me to check out anything they had put to record. Their most recent effort, 2008's Red of Tooth and Claw, is a great place to start. They'll be at The Bottleneck in Lawrence tomorrow night and I can only imagine they've gotten even better live in the years since I've seen them. This is definitely a show not to miss.